CUCUTA, Colombia (CNS) — Lunch started early at the Divine Providence House, a church-run soup kitchen located just a few hundred feet away from the Venezuelan border. 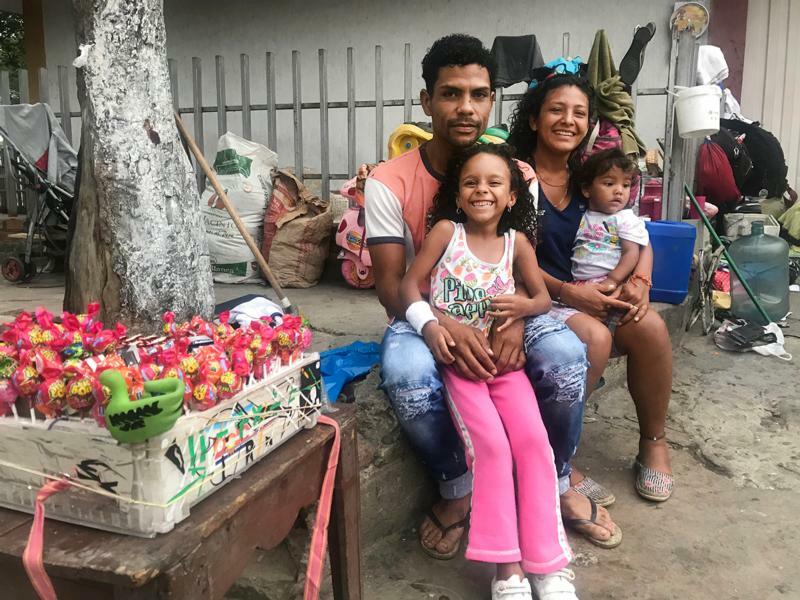 The crowds of hungry Venezuelans seeking a free meal become bigger each month, as thousands of people flee food shortages, hyperinflation and crime in the South American country, with almost no savings to start their new life abroad. Organizers worry that the situation could get worse if Venezuela’s president does not let humanitarian aid into the country. For the past few years, church groups have been calling on Venezuelan President Nicolas Maduro to let humanitarian aid into the country, in order to relieve the suffering of millions of vulnerable Venezuelans. But the socialist leader has long rejected help from abroad, arguing that it will be used to meddle in the country’s affairs. Maduro has vowed to not let the aid in, saying it is part of a calculated move to boost Venezuela’s opposition and prepare an invasion of his country. Instead, he urged the U.S. to drop recently imposed sanctions on Venezuelan oil exports, which could cost his government up to $11 billion over the next 12 months, making it more difficult to import food into the country. The Venezuelan bishops’ conference replied by urging Maduro to let the aid in for the sake of the its most vulnerable people and said that, through its charitable agency Caritas, it could help to oversee the neutral and nonpolitical distribution of these goods. “We urge the government to concede a permit for aid to get in, as a way to mitigate the current impact of the economic crisis,” the bishops’ conference said in a statement. In an interview with a local radio program, Judith Marquez, director of Caritas Venezuela, said that allowing aid into the country “will not bring more problems” to Venezuela, adding that currently 250,000 children in the country are suffering from malnutrition. “We have no savings, and we survive from whatever we can make each day,” Castellanos said.